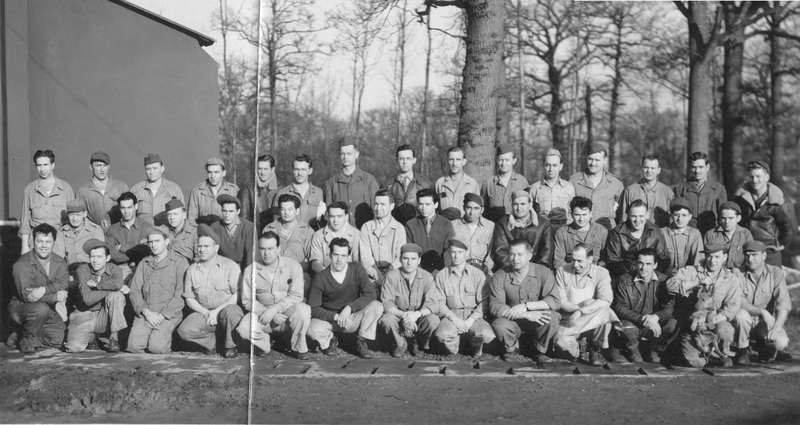 In November 1943, about the time Dale Smith took over as Commanding Officer of the 384th Bomb Group at Grafton Underwood, the 443rd Sub Depot was created under the command of Major John H. Humphries. 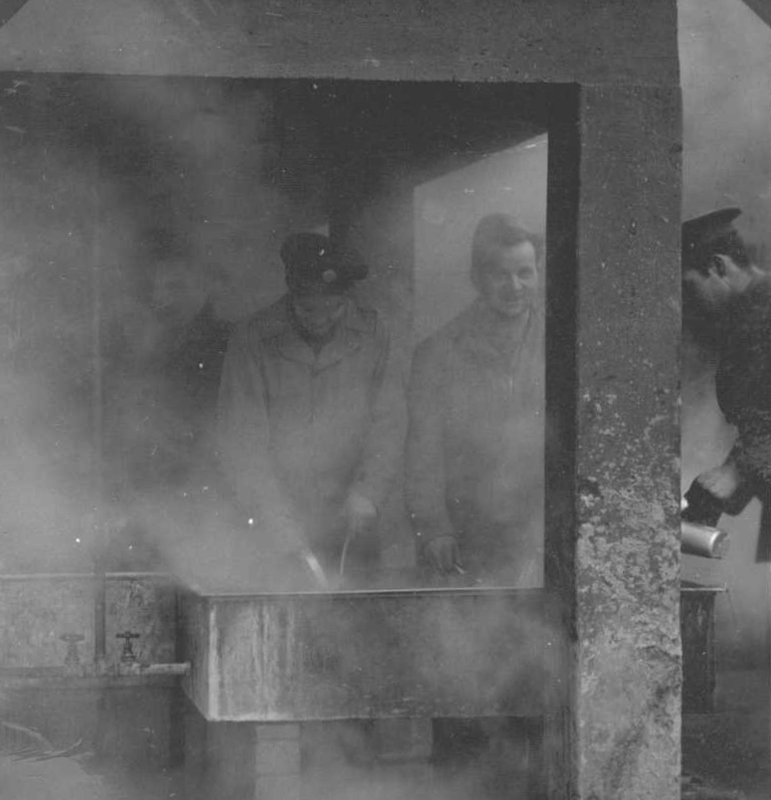 Smith referred to the Sub Depot group as “ground pounders” and felt they were treated like second-class citizens. 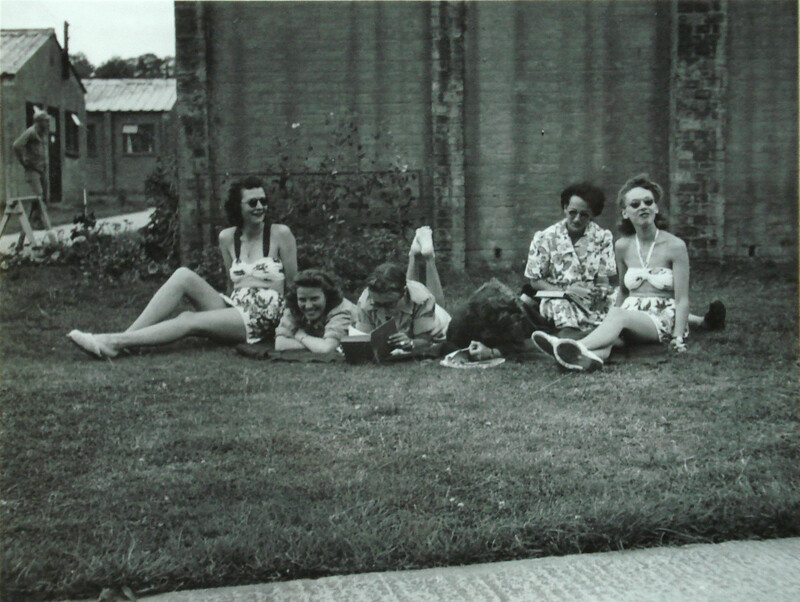 They had their own mess located about a mile from the central communal area, away from the Foxy Theatre, Combat Crew Mess, Officers’ Mess, and Service Club. 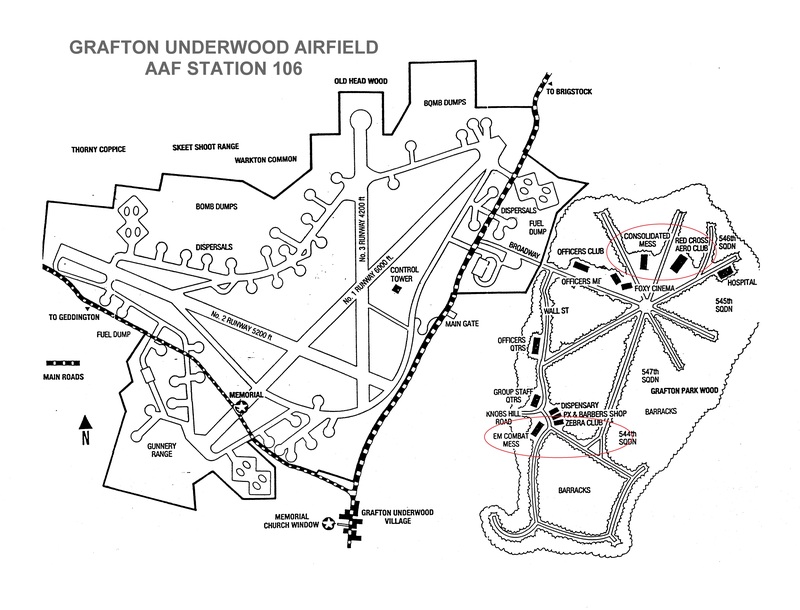 It is unclear from this map where the separate ground crew mess was located. Smith felt that the separation led to low morale and set about to reform things. See the areas circled in red on the above map. On the map, the messes are noted as EM (Enlisted Men’s) Combat Mess and Consolidated Mess. 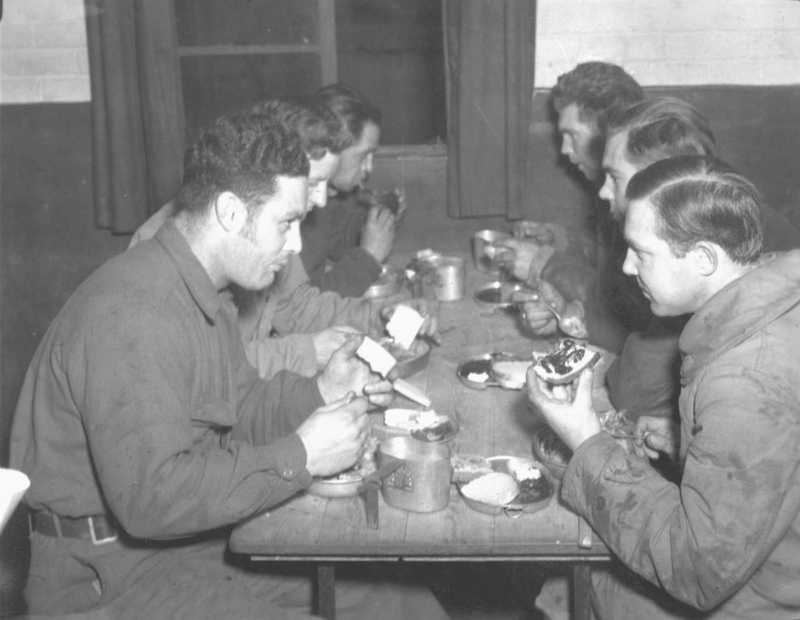 One of Smith’s first reforms was to integrate the messes so that there would be no distinction between ground and air personnel in an aim to become a unified team. 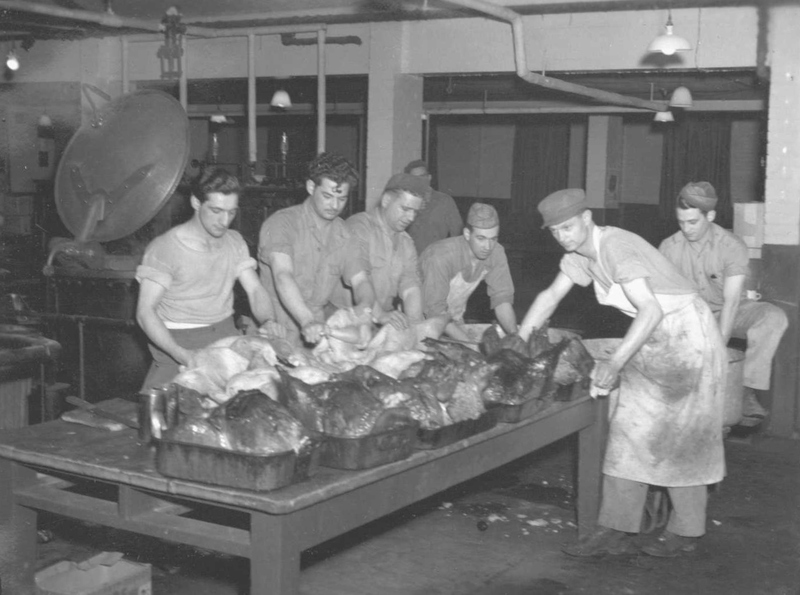 The airmen’s Combat Crew Mess became the Airmen’s Mess, feeding the first three grades: privates, corporals, and buck sergeants. 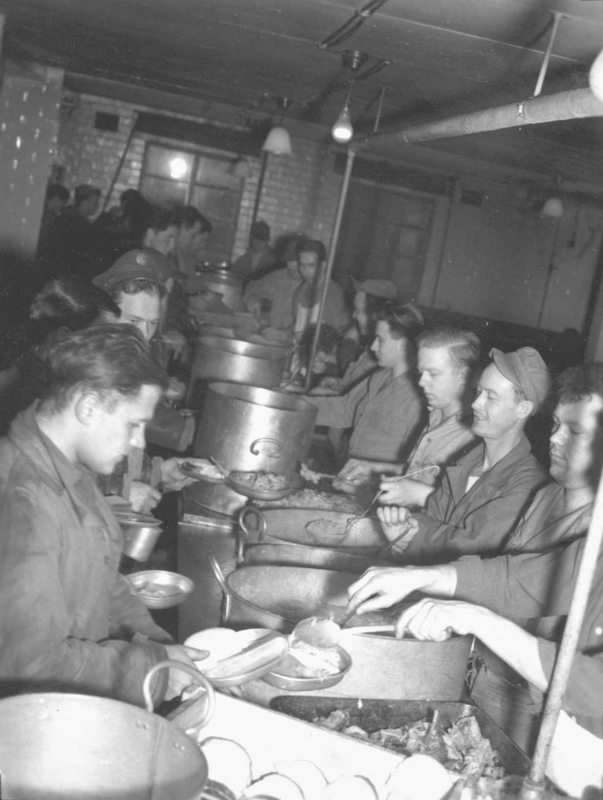 The Ground Crew Mess became the NCO mess, feeding all staff, technical, and master sergeants. Smith then created the Zebra Club (lots of stripes) for all the senior non-commissioned officers by remodeling an unused RAF NAFE outlet (store for necessities). 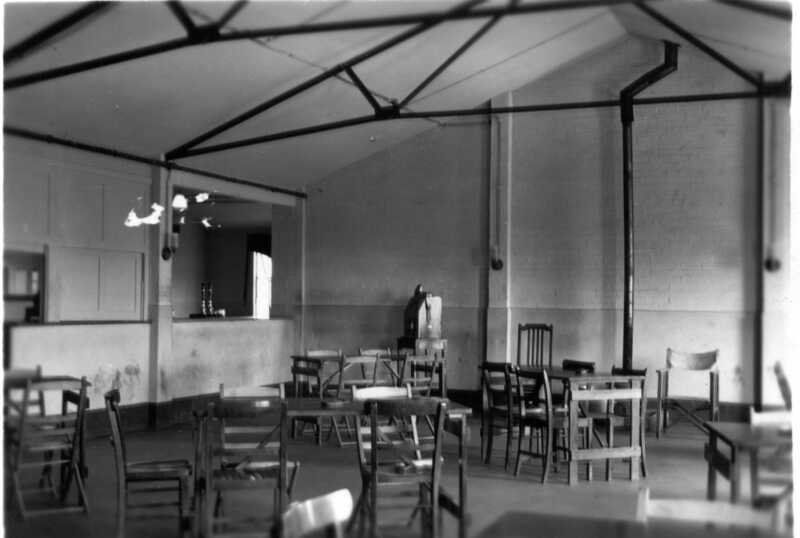 The bar of the Zebra Club. There is another building to the right of the Consolidated Mess called the Red Cross Aero Club. 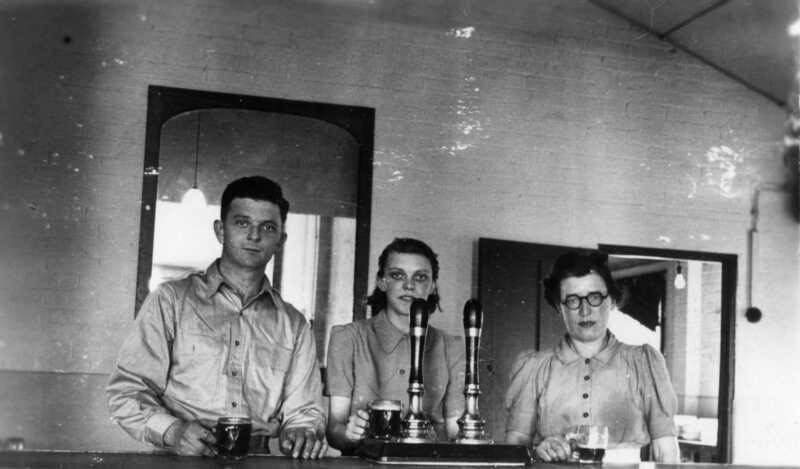 I have not found any information or pictures of this club other than one photo of the Grafton Underwood Red Cross Girls. By thearrowheadclub in 384th Bomb Group on June 29, 2016 .